The Muppets have been part of my family since I can remember. 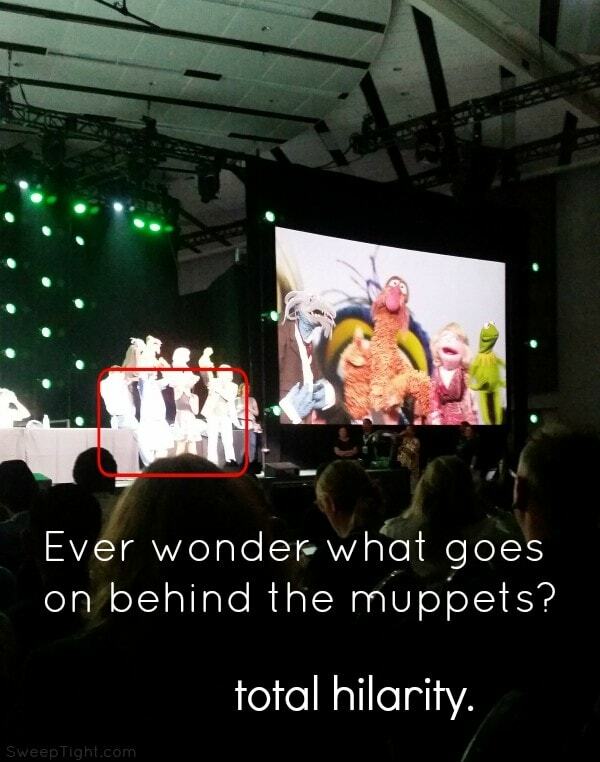 I had the incredible honor of attending the panel, “The Magic Behind the Muppets” at the D23 Expo. It was in the top 3 experiences of that entire trip. I was also granted access to the new show airing tonight on ABC. I was able to attend this event for free as part of a press junket sponsored by Disney but all thoughts and opinions shared on this blog are my own. The new series is more for adult ‘kids.’ The show is witty, funny and full of innuendo that will have you cracking up for days. Growing up with these lovable characters was something many of us can bond over. Now, seeing how they handle real life is hilarious since we’re all bumbling around trying to figure out relationships, jobs, and politically incorrect situations. Today’s Muppets are snarky, somewhat rebellious, and juggling workplace dynamics we might find at our own offices. I used to wonder what the set looked like even when I was a kid. The mystery of it all was always intriguing. When we got the announcement that we’d be attending the panel at D23 I gasped so hard I almost popped a lung. This was legitimately one of the highlights of my life. Seeing the men behind the Muppets and getting to know their quirks–that totally show through in their characters–was nothing short of hilarious. 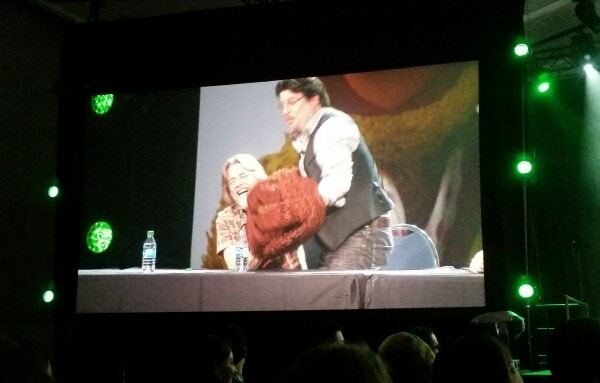 They let some audience members come up on stage an try ‘being’ a Muppet. It was hysterical. The antics that go on ‘below’ the scenes is ridiculously funny. I was actually tearing up from laughing so hard. Kermit even got naked to show the hand movements required for a more realistic mouth opening and closing during speech. The audience members that went up there were perfect. Their personalities immediately showed through their puppet characters. I wonder if any of that is portrayed in the new show? 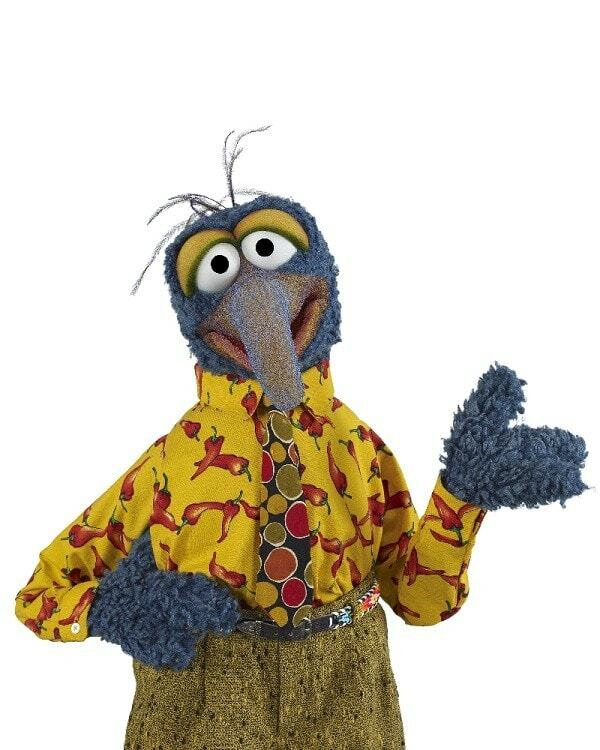 My favorites were always Beaker–because I’m a science nerd–and Gonzo because he’s just endearingly awkward. Evan is actually getting a large tattoo of Gonzo on his side that says “Now most of all, I know that I am happy to be me.” Gonzo was always his favorite because he related to being insecure and having to grow into himself. I fought back tears being in the same room with the real Gonzo. 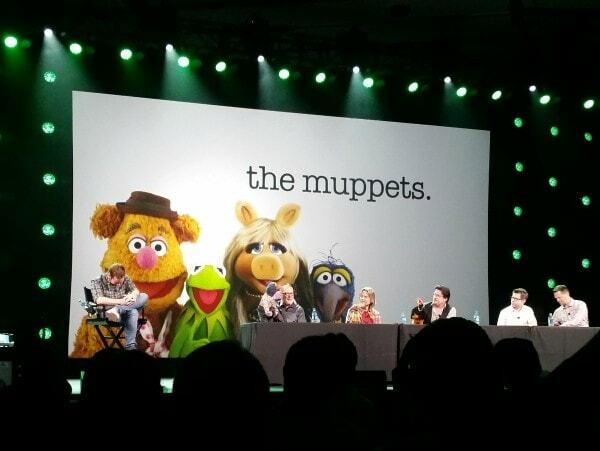 I just can not believe that they are bringing the wonderful show called the Muppets back to TV! I am going to watch this show with my son and daughter! What a great family show! My favorite muppets are Statler and Waldor, the older gentlemen. 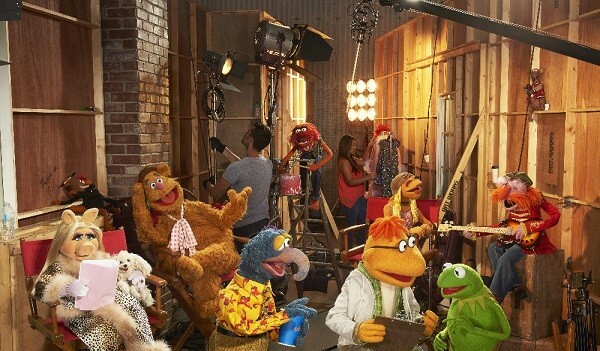 I’m so glad that the muppets are back on television again, now my 5 year old grandson will have the pleasure of seeing all these amazing and quirky characters! Thanks for sharing! They have always been great. Heard a thing on NPR today about the new Muppet show. Should be fun. Its nice theey are on Primetime! Such a great show even adults enjoy them ! I actually really enjoyed watching the Muppet Babies cartoon. This show sounds very interesting though, I would definitely watch it. Thank you for sharing this post. I was wondering what this was all about when I turned on the TV last night. It’s great to have the muppets back on air ! Will it be a weekly show? I’d have to go to a friend’s house to watch it since I don’t have a TV. I have a special place in my heart for the Muppets, but I am not sure if a “mature” version of them is my thing. I have loved the Muppets since I was a kid, but I wasn’t thrilled with this version of them. My kids wanted to watch the show and I’m glad I watched first because it’s not geared toward kids. 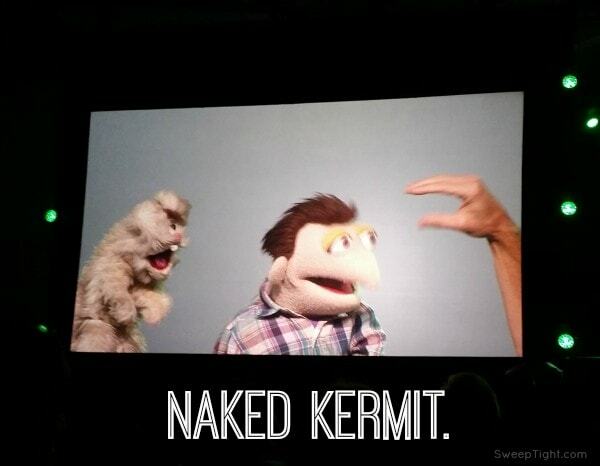 OMG LMAO @ Naked Kermit! I’ve loved the Muppets since childhood and I am so glad it’s generational for everyone to enjoy! Can’t wait to catch the new show! My friends was just telling me about an adult Muppet show on on Tuesday nights! I had no idea what she meant but I will have to now check it out too! I totally missed the muppets! My favorite was Animal! I wish was there to see the behind the scenes it looks really cool! I watched the premiere, and I loved it! It’s definitely different from old school Muppets, but I think it’s great. I have loved the Muppets for as long as I can remember. I am so glad to see them back. I remember The Muppets from when I was a kid. It’s great that it has been brought back. I am looking forward to seeing this so much. I have it on the DVR, I just haven’t had time to watch it! We’ve always loved the Muppets! We own all of the movies! And I grew up watching them on TV as a kid. I can’t wait to check out the new TV series. We love the Muppets! I will check this out! I have such good memories of the muppets. This looks adorable! Something the whole family can enjoy. I remember The Muppets from when I was younger! I had no idea that they had a show again on tv, I am going to have to try to watch it again. I would love to see what happens behind the scenes. I have such fond memories of The MUPPETS and loved watching it with my kids. Thanks for sharing with us. I do have a favorite muppet! I love the chef and the Norwegian Scientist guy. Both just make me roll. I love the Muppets! I’m sad to hear I missed the premire. Hopefully they show it again so that I can see it. I have so many memories of being younger and watching the Muppets. 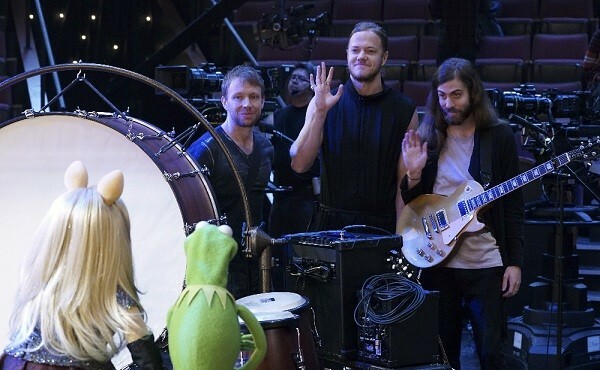 I am so happy the Muppets are going to be on TV! Maybe I can get my kids to love them as well! I used to love watching the Muppets. I am excited it is back on. I will have to check it out this Tuesday. Oh I’ve been wanting to watch the new show since that teaser a few months ago. They’re more clever than ever! I grew up with the Muppets too! I’m so excited to see them back on TV! I’m so glad to hear that the muppets are back. I can’t wait to see this. The Muppets are one of my favorite shows ever! Miss PIggy has always been my favorite. She’s so stylish and with attitude. Flaunt it sista! I still have to check this out. I can imagine how funny it is! lol The naked Kermit totally cracked me up. I love the Muppets!